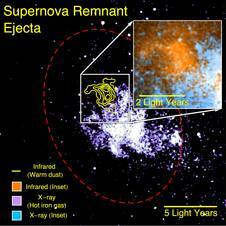 Enormous stars collapse in ultramassive supernova explosions — now in 3D! For the first time ever, researchers have turned back the clock on a star’s final moments to simulate how wrinkles in its violent collapse trigger a vast explosion. As massive stars age, they build up more and more iron in their cores, which cannot be used by the star as fuel. 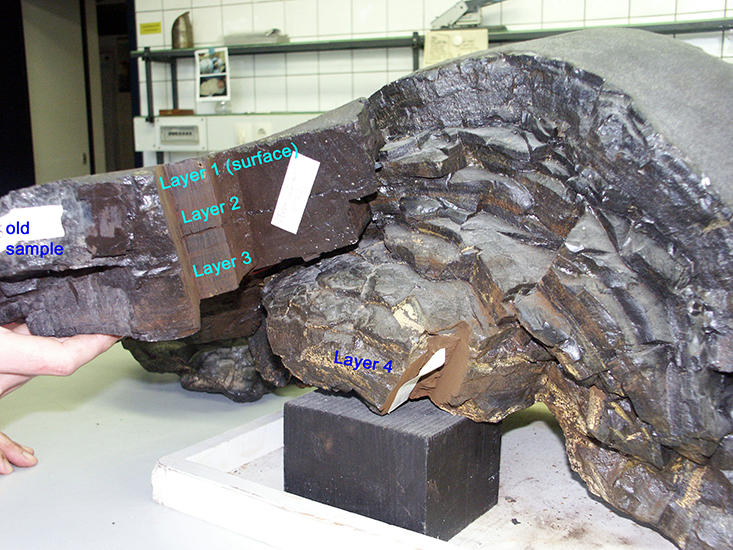 Eventually, when the core gets big enough, it collapses and, sometimes, incites a huge explosion. Most simulations start with a star already on the brink of collapse, with the different layers inside the star in perfect concentric rings. But models with those simplified starting conditions stubbornly refuse to blow. Such a feat was very technologically demanding, but it proved necessary because models starting right at the collapse just wouldn’t explode in a supernova, Couch said. Instead, the shock would peter out, and the collapsing star would become a black hole. Those extra few moments, where the “onion” model had the chance to wrinkle into a “cabbage” more like a complex, real star before collapsing, seem to cause enough turbulence to push the system over the edge into a supernova. Just modeling those extra 3 minutes back in time was a huge technological challenge, Couch said — the simulation on the supercomputer took about one month to complete, and they could run it only once. Therefore, the researchers chose their star carefully: one about 12 million years old, and 15 times the mass of the sun, that they thought would likely go supernova. The difficulty with modeling stars is the difference in timescales, Couch said — a star evolves over the course of millions of years, but the supernova mechanism is on a millisecond scale. Incredible levels of precision and complexity are needed to understand that millisecond. The research was detailed in the July 21 edition of The Astrophysical Journal. 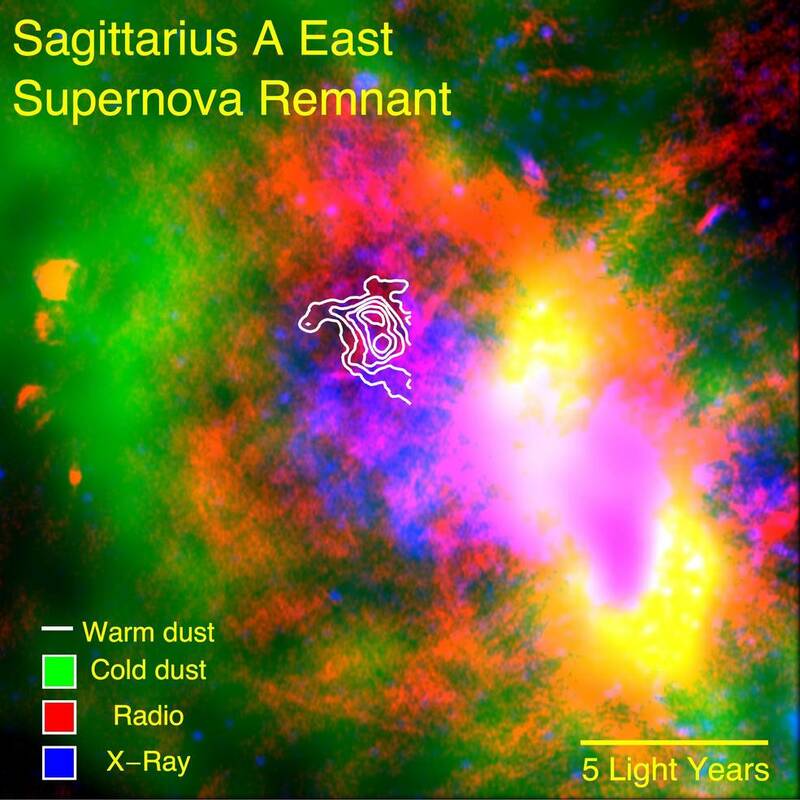 The new study confirms the discovery between 2008 and 2010 of three apparently hostless supernovae by the Multi-Epoch Nearby Cluster Survey using the Canada-France-Hawaii Telescope [CFHT} on Mauna Kea in Hawaii. Graham’s postdoctoral fellowship is supported by gifts from Gary and Cynthia Bengier. Supernova shoot-em-ups could be responsible for Earth’s iron core. An analysis suggests that certain stars fire off massive iron bullets when they die. Stars fuse the hydrogen and helium present in the early universe into heavier elements, like iron. When stars reach the end of their lives, they explode in supernovae, littering these elements throughout space where they can eventually form planets. A particular kind of supernova called a type Ia, the result of the explosion of a dense stellar corpse called a white dwarf star, seems to be responsible for most of the iron on Earth. These stars also play an important role in our understanding of distance in the universe. That’s because the white dwarfs only blow up when they reach a certain, fixed mass, so we can use the light of these explosions as a “standard candle” to tell how far away they are. But astronomers still haven’t figured out exactly what causes white dwarfs to hit this critical limit. When a star goes supernova, it leaves behind a cloud of ejected material called a supernova remnant. This remnant should be spherical – but some have extra bumps that could offer a clue to the supernova’s origin. Now Soker and his colleague Danny Tsebrenko say that massive clumps of iron produced within a white dwarf in the process of going supernova could be punching through the remnant like bullets, creating these bumps. The iron bullets aren’t solid chunks of metal, but a more diffuse cloud of molecules. Some supernova remnants have two bumps on opposite sides, which the researchers call “ears”. The iron bullets form along the rotation axis of an exploding white dwarf, firing out at either end, says Soker. A white dwarf can only be spinning fast enough to allow this if it is the result of two smaller dwarfs merging, he adds. The bullets could also shed light on our origins. Soker and Tsebrenko estimate that these clouds of iron would be several times the mass of Jupiter. They would spread and could eventually seed dust clouds with iron that would go on to form stars and planets, providing an origin for Earth’s core, says Soker. Informative and exciting reading…many thanks! NEWS from the Australian Gemini Office! ANU astronomer Dr Brad Tucker and his team used the Kepler Space Telescope together with the Gemini 8m telescope to catch supernovae in the act. Scientists have captured the early death throes of supernovae for the first time and found that the universe’s benchmark explosions are much more varied than expected. The scientists used the Kepler space telescope to photograph three type 1a supernovae in the earliest stages of ignition. They then tracked the explosions in detail to full brightness around three weeks later, and the subsequent decline over the next few months. 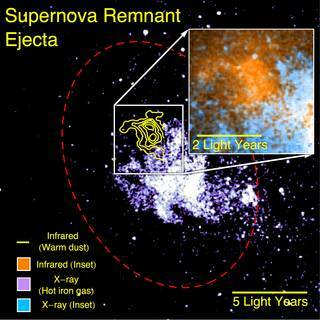 They found the initial stages of a supernova explosion did not fit with the existing theories. “The stars all blow up uniquely. It doesn’t make sense,” said Dr Brad Tucker, from the Research School of Astronomy and Astrophysics. Before this study, the earliest type 1a supernovae had been glimpsed was more than 2.5 hours after ignition, after which the explosions all followed an identical pattern. This led astronomers to theorise that supernovae, the brilliant explosions of dying stars, all occurred through an identical process. Astronomers had thought supernovae all happened when a dense star steadily sucked in material from a large nearby neighbour until it became so dense that carbon in the star’s core ignited. “Somewhat to our surprise the results suggest an alternative hypothesis, that a violent collision between two smallish white dwarf stars sets off the explosion,” said lead researcher Dr Robert Olling, from the University of Maryland in the United States. At the peak of their brightness, supernovae are brighter than the billions of stars in their galaxy. Because of their brightness, astronomers have been able to use them to calculate distances to distant galaxies. Measurements of distant supernovae led to the discovery that some unknown force, now called dark energy, is causing the accelerated expansion of the universe. Brian Schmidt from the ANU, Saul Perlmutter (Berkeley) and Adam Reiss (Johns Hopkins) were awarded the Nobel prize in 2011 for this discovery. Dr Tucker said the new results did not undermine the discovery of dark energy. “The accelerating universe will not now go away – they will not have to give back their Nobel prizes,” he said. An image from a simulation in which a type Ia supernova explodes (as shown in brown). The supernova material is ejected outward at a velocity of about 10,000 kilometers per second and slams into its companion star (as shown in light blue). The collision produces an ultraviolet pulse, which is emitted from the conical hole carved out by the companion star. 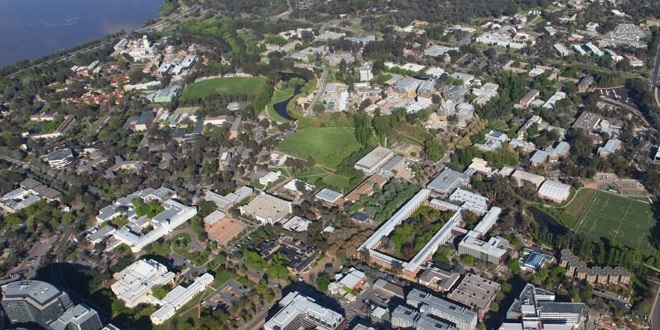 Image is courtesy of Dan Kasen of University of California Berkeley. Type Ia supernovae are violent stellar explosions that shine as some of the brightest objects in the universe. But there are still many mysteries surrounding their origin—what kind of star system they originate in and how the explosions begin. New work from the intermediate Palomar Transient Factory team of astronomers, including Carnegie’s Mansi Kasliwal, provides strong evidence pointing toward one origin theory, called the single degenerate channel. This work is published May 21 by Nature. “I was examining the first Swift images when suddenly I saw a bright spot at the location of the supernova in the ultraviolet. 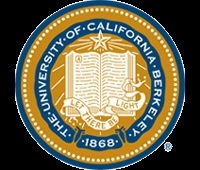 I jumped up because I knew it was the signature that I had been hoping for,” said Caltech graduate student Yi Cao, lead author of the paper. Supernova research at the OKC is supported by the Swedish Research Council and by the Knut and Alice Wallenberg Foundation. 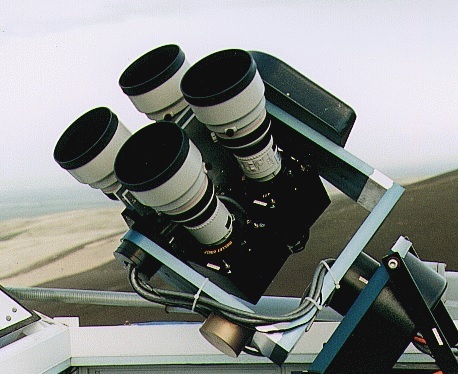 Some of the data presented here were obtained with the Nordic Optical Telescope, which is operated by the Nordic Optical Telescope Scientific Association at the Observatorio del Roque de los Muchachos, La Palma, Spain. Some of the data presented here were obtained at the W. M. Keck Observatory, which is operated as a scientific partnership among the California Institute of Technology, the University of California, and NASA. 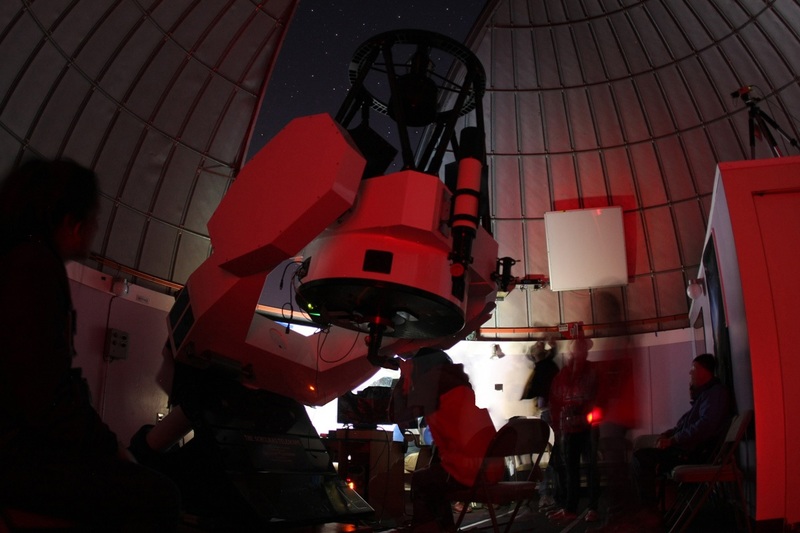 The observatory was made possible by the generous financial support of the W. M. Keck Foundation. This work also makes use of observations from the LCOGT network. 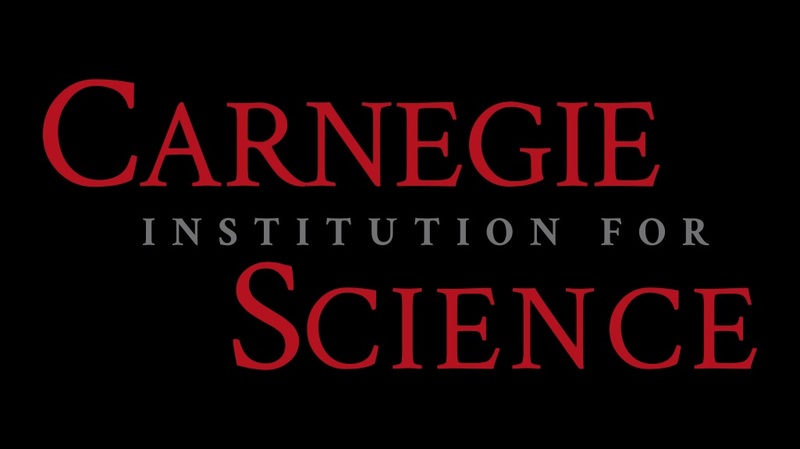 Research at California Institute of Technology is supported by the National Science Foundation. LANL participation in iPTF is supported by the US Department of Energy as part of the Laboratory Directed Research and Development program. 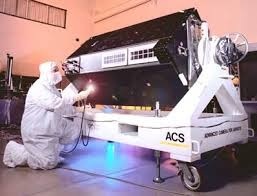 A portion of this work was carried out at the Jet Propulsion Laboratory under a Research and Technology Development Grant, under contract with the National Aeronautics and Space Administration. A UA-led team of astronomers found that the type of supernovae commonly used to measure distances in the universe fall into distinct populations not recognized before. The findings have implications for our understanding of how fast the universe has been expanding since the Big Bang. The team, led by UA astronomer Peter A. Milne, discovered that type Ia supernovae, which have been considered so uniform that cosmologists have used them as cosmic “beacons” to plumb the depths of the universe, actually fall into different populations. The findings are analogous to sampling a selection of 100-watt light bulbs at the hardware store and discovering that they vary in brightness. An optical image of galaxy M101 obtained by Adam Block with the UA’s Mt. Lemmon Sky Center. Milne and his co-authors — Ryan J. Foley of the University of Illinois at Urbana-Champaign, Peter J. 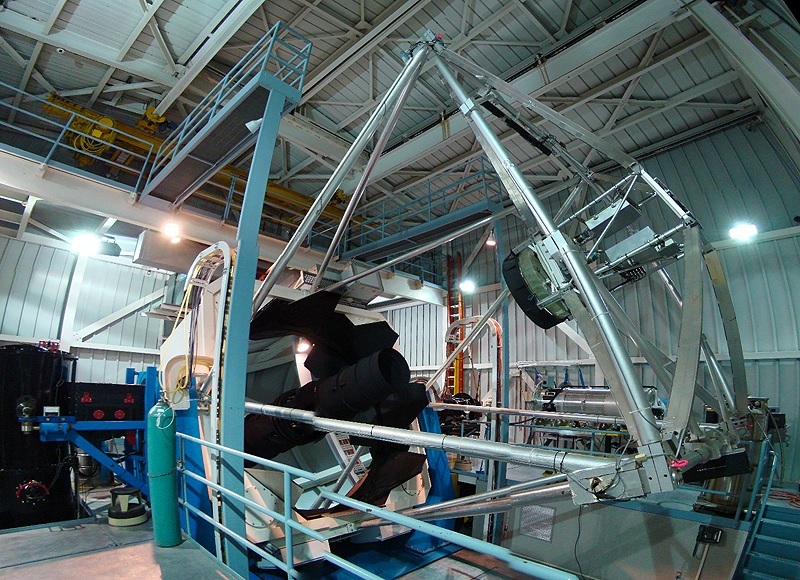 Brown at Texas A&M University and Gautham Narayan of the National Optical Astronomy Observatory, or NOAO, in Tucson — observed a large sample of type Ia supernovae in ultraviolet and visible light. For their study, they combined observations made by the Hubble Space Telescope with those made by NASA’s Swift satellite. “As you’re going back in time, we see a change in the supernovae population,” he added. “The explosion has something different about it, something that doesn’t jump out at you when you look at it in optical light, but we see it in the ultraviolet. Like many supernovas, SN 1987A announced the violent collapse of a massive star. What set it apart was its proximity to Earth; it was the closest stellar cataclysm since Johannes Kepler spotted one in our own Milky Way galaxy in 1604. Since then, scientists have thought up many questions that to answer would require a front row seat to another supernova. They were questions like this: How close does a supernova need to be to devastate life on Earth? “The bottom line was that there would be a supernova close enough to the Earth to drastically affect the ozone layer about once every billion years,” says Gehrels, who still works at Goddard. That’s not very often, he admits, and no threatening stars prowl the solar system today. But Earth has existed for 4.6 billion years, and life for about half that time, meaning the odds are good that a supernova blasted the planet sometime in the past. The problem is figuring out when. Because supernovas mainly affect the atmosphere, it’s hard to find the smoking gun,”Gehrels says. Fields and his colleagues named a few of such supernova-forged elements—mainly rare radioactive metals that decay slowly, making their presence a sure sign of an expired star. 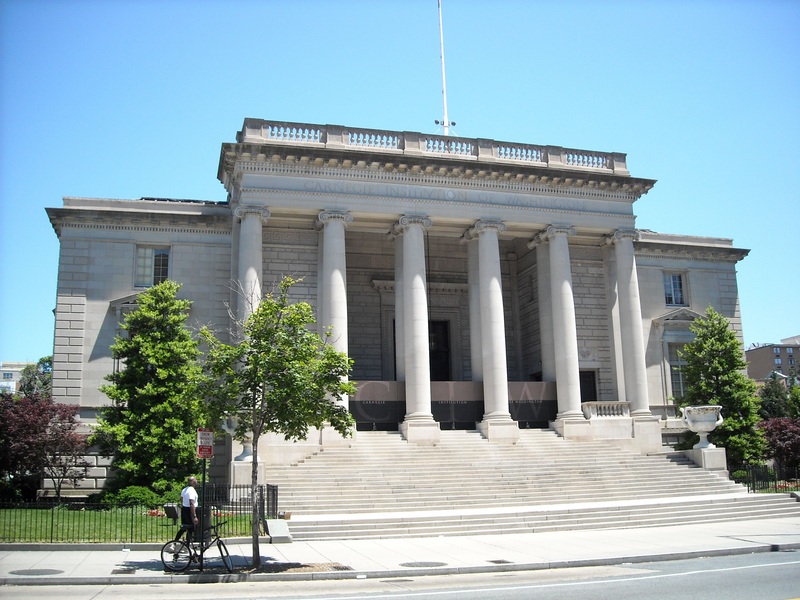 One of the most promising candidates was Fe-60, a heavy isotope of iron with four more neutrons than the regular isotope and a half-life of 2.6 million years. But finding Fe-60 atoms scattered on the Earth’s surface was no easy task. Fields estimated that only a very small amount of Fe-60 would have actually reached our planet, and on land, it would have been diluted by natural iron, or been eroded and washed away over millions of years. So scientists looked instead at bottom of the sea, where they found Fe-60 atoms in the ferromanganese crusts, which are rocks that form a bit like stalagmites: They precipitate out of liquid, adding successive layers, except they are composed of metals and form extensive blankets instead of individual spires. Composed primarily of iron and manganese oxides, they also contain small amounts of almost every metal in the periodic table, from cobalt to yttrium. 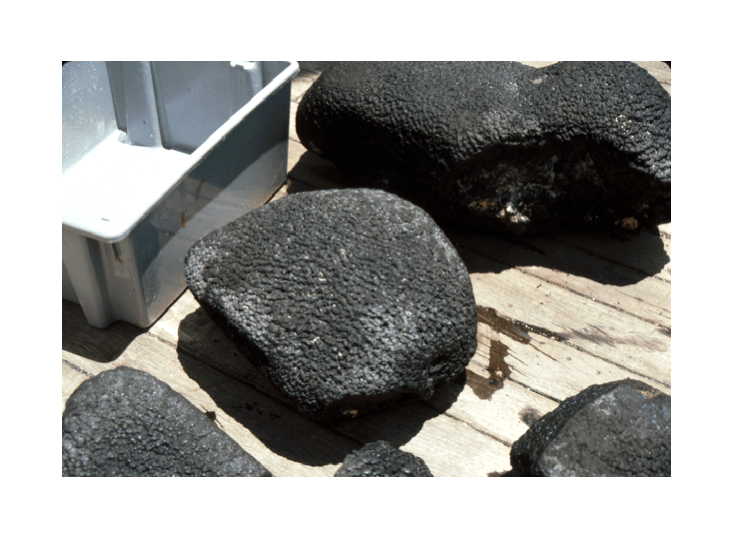 As iron, manganese, and other metal ions wash into the sea from land or gush from underwater volcanic vents, they react with the oxygen in seawater, forming solid substances that precipitate onto the ocean floor or float around until they adhere to existing crusts. James Hein at the United States Geological Survey, who studied crusts for more than 30 years, says that it remains a mystery exactly how they establish themselves on rocky stretches of seafloor, but once the first layer accumulates, more layers pile on—up to 25 cm thick. The crusts’ growth is one the slowest processes known to science—they put on about five millimeters every million years. For comparison, human fingernails grow about seven million times faster. The reason for that is plain math. There’s less than one atom of iron or manganese for every billion molecules of water in the ocean—and then they must resist the pull of passing currents and the power of other chemical interactions that might pry them loose until they get trapped by the next layer. That idea, as any young theory, is still speculative and has its opponents. Some scientists think Fe-60 may have been brought to Earth by meteorites, and others think these climate changes can be explained by decreasing greenhouse gas concentrations, or the closing of the ocean gateway between North and South America. But Knee’s new tool gives scientists the ability to date other, possibly more ancient, supernovas that may have passed in the vicinity of Earth, and to study their influence on our planet. It is remarkable that we can use these dull, slow-growing rocks to study the luminous, rapid phenomena of stellar explosions, Fields says. And they’ve got more stories to tell. ANU-based CAASTRO Associate Investigator Dr Richard Scalzo’s previous work on this subclass provides strong evidence that their ejected masses exceed the Chandrasekhar limiting mass for white dwarfs, justifying the commonly used label “super-Chandra”. Since all type Ia supernovae are believed to be explosions of white dwarfs, SNe Ia provide challenges to our understanding of white dwarf physics and stellar evolution. Super-Chandra SNe Ia are not only very luminous, but very blue – suggesting strong ultraviolet (UV) emission, which could arise from a shock driven by the supernova ejecta into a cloud of material surrounding the progenitor. Such clouds are also predicted by models of white dwarf mergers, and could explain the high luminosities of super-Chandra SNe Ia. With a spectrum resembling other super-Chandra SNe Ia, LSQ12gdj was discovered just a few days after explosion – making it an excellent test case to search for UV emission from shocks. 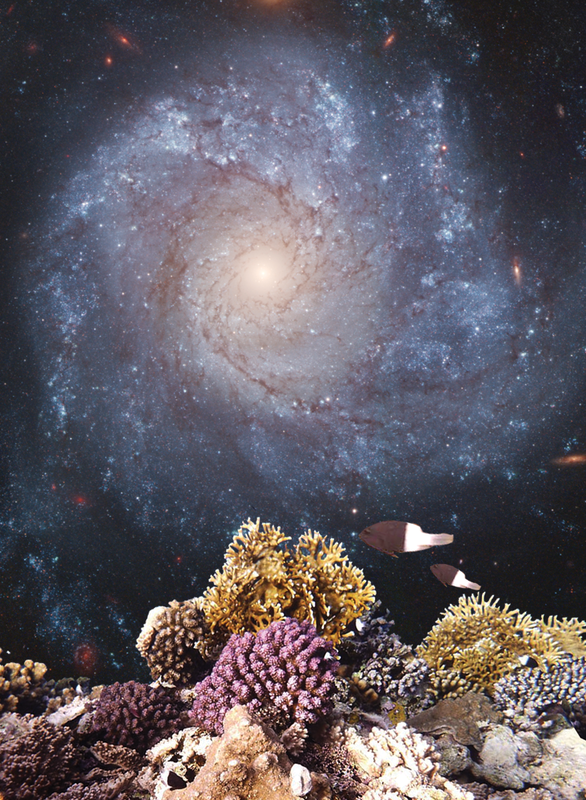 Dr Scalzo, the ANU group, and their European and American collaborators observed LSQ12gdj with the Swift space telescope as well as ground-based optical telescopes. Early in its evolution, over a quarter of LSQ12gdj’s luminosity was emitted at UV wavelengths visible only to Swift (compared with 5-10% for normal SNe Ia). However, no more than 10% of LSQ12gdj’s peak luminosity is likely to come from shocks, so any material surrounding the progenitor must be very compact. When all this is taken into account, LSQ12gdj’s appearance is consistent with a Chandrasekhar-mass progenitor – showing that UV observations are crucial to understand these events fully.